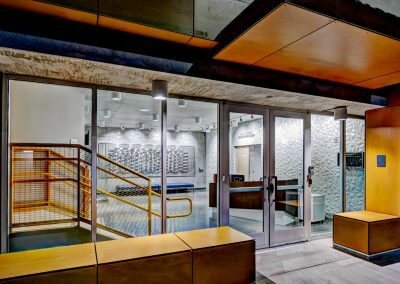 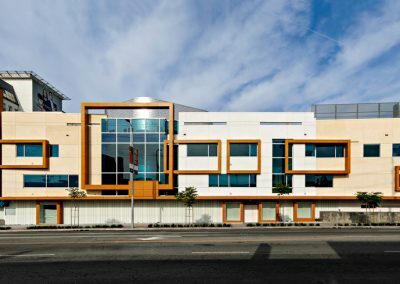 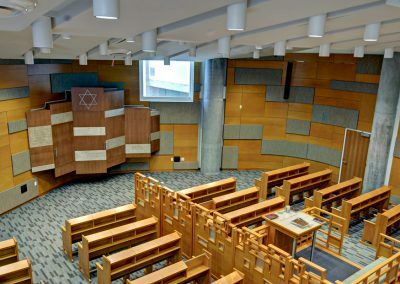 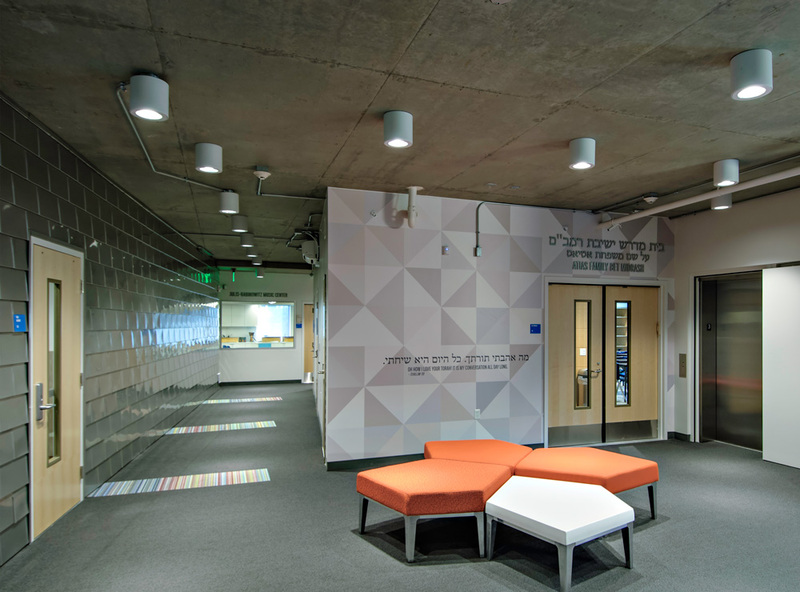 Gruen Associates reconstructed Maimonides Academy with upper floors organized around an open, protected courtyard. 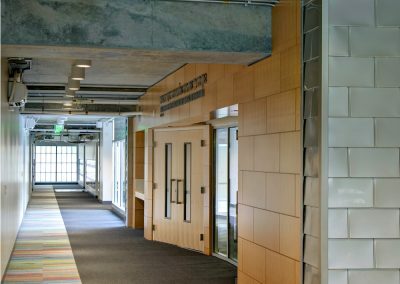 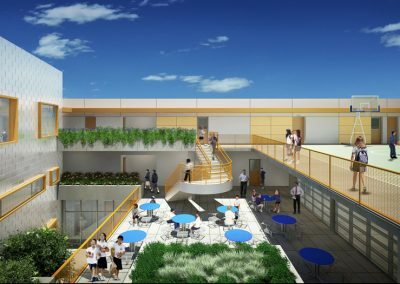 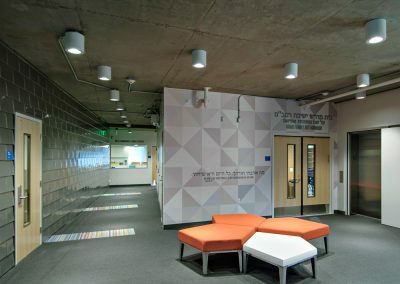 The 47,600-GSF space has 26 classrooms, an assembly space/Synagogue, 80 below-grade parking, cafeteria, library, offices, conference rooms and support areas. 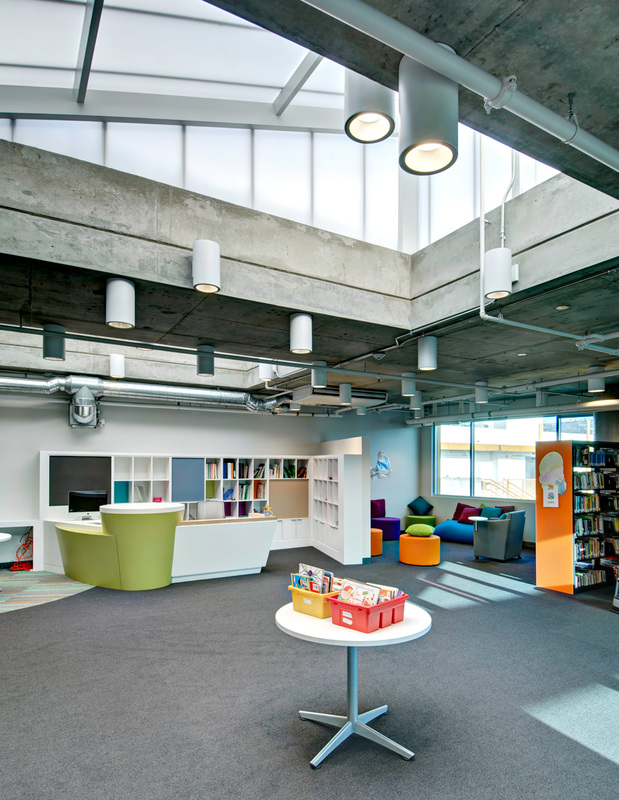 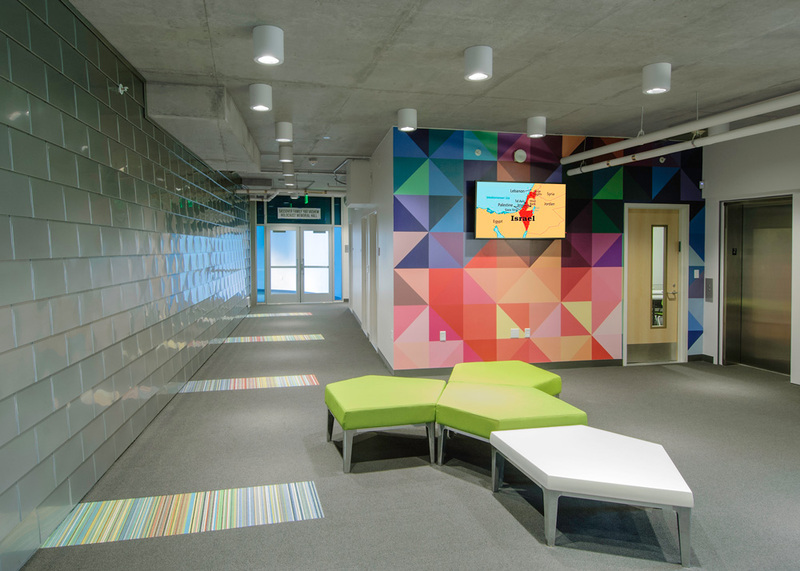 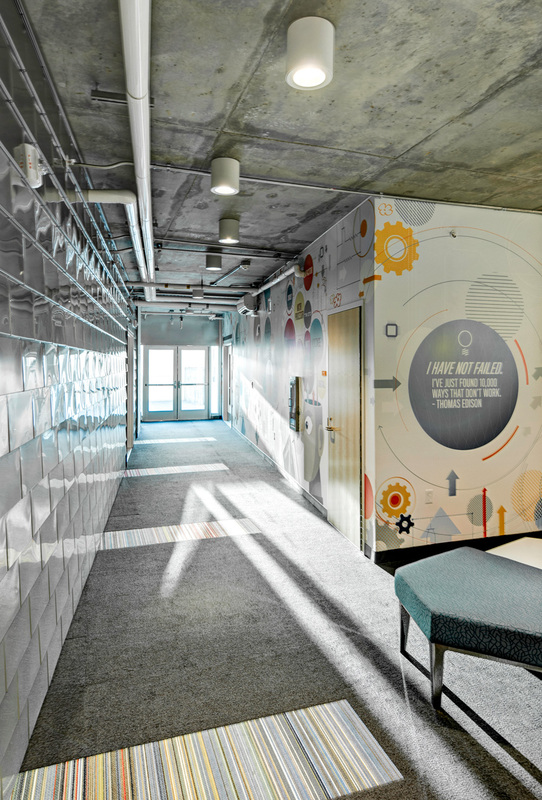 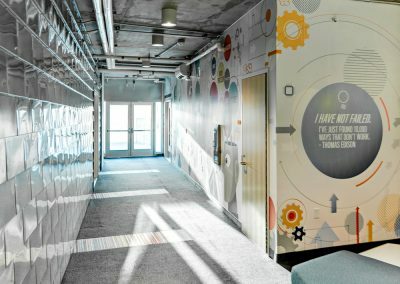 Technology, study areas and gathering spaces promote the Academy’s mission and engaging student/teacher environments. 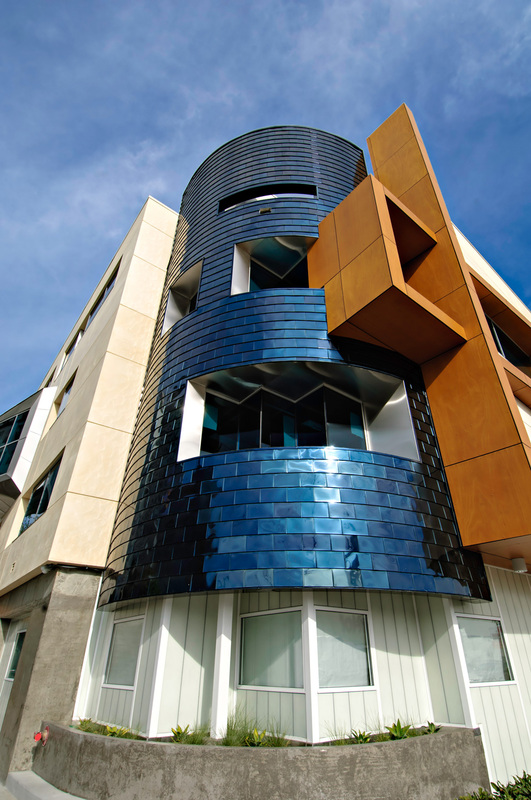 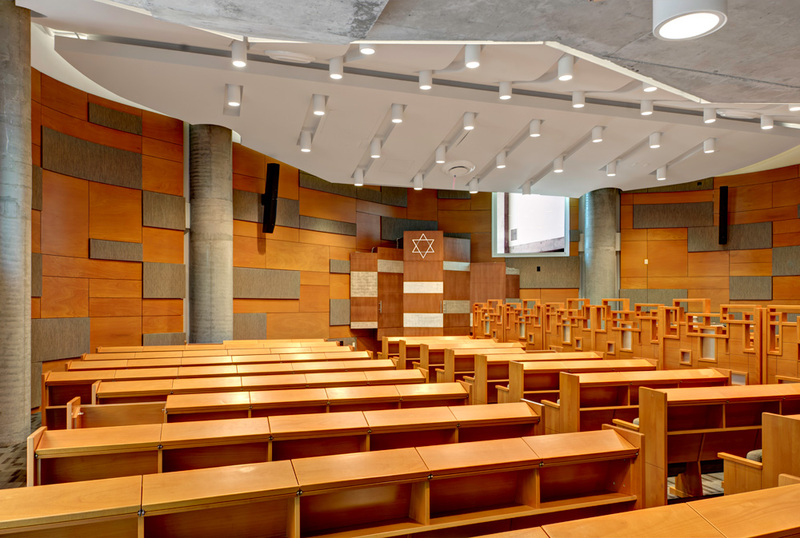 The Synagogue form is clad in stainless steel, and is uniquely displayed rising through three academic floors. 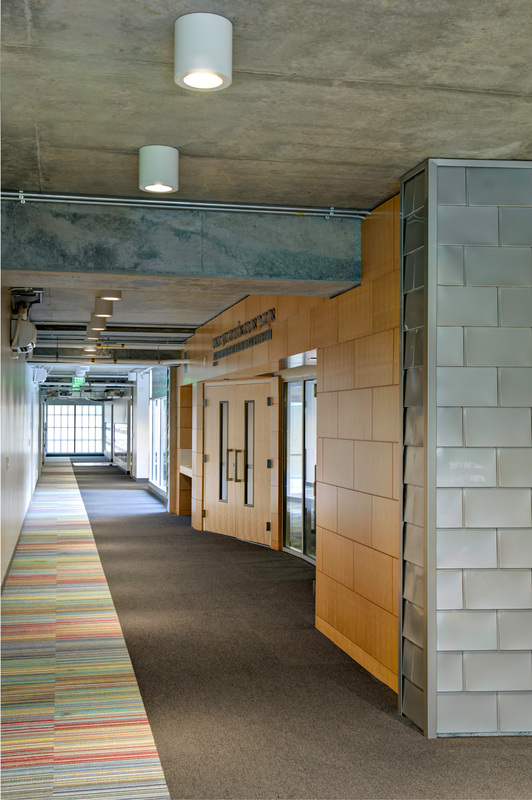 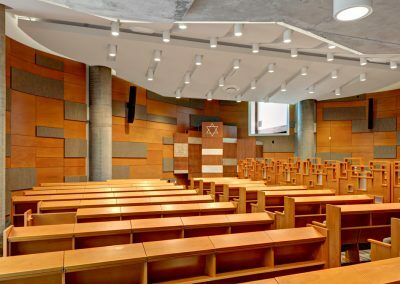 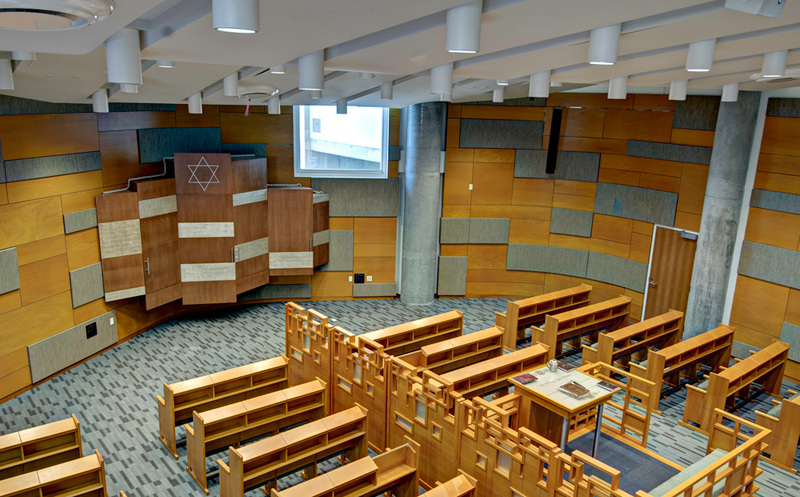 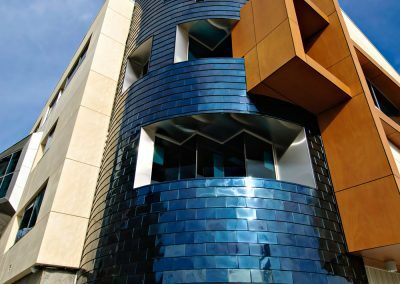 Visible from the corridors, it forms a side of the courtyard void and brings light into the interior-focused Sephardic Orthodox Jewish day school. 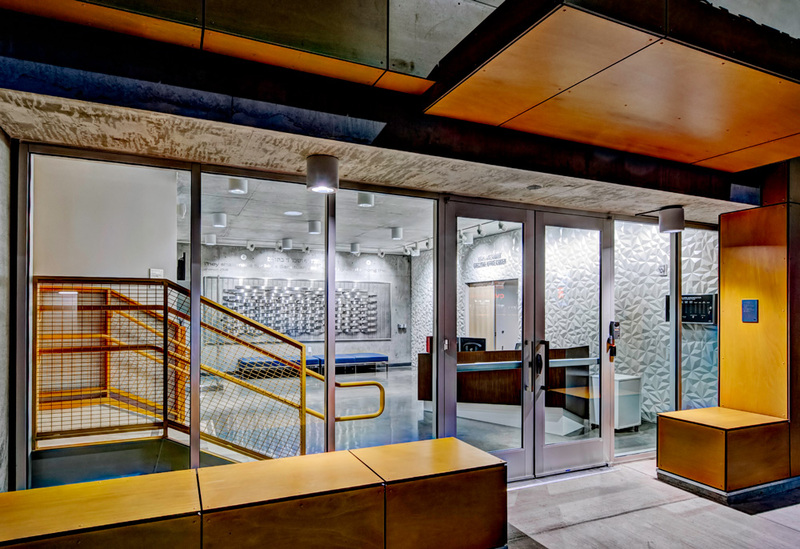 A framed portal is viewed from the exterior to communicate the school’s purpose. 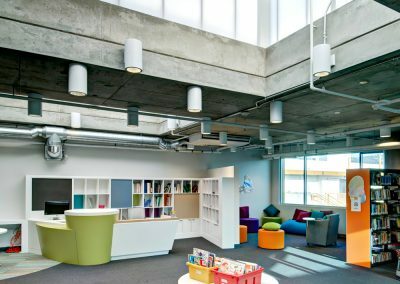 Floor area for the very tight urban site includes creatively-engineered building systems to fit four stories of program within the three-story limit. 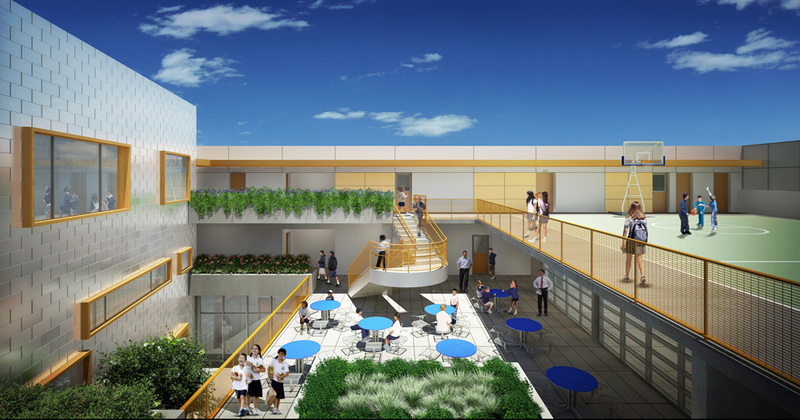 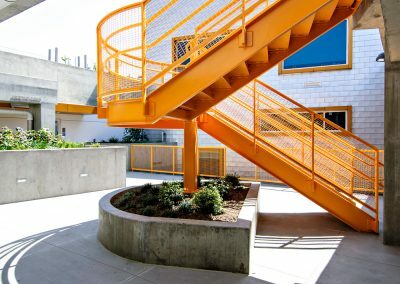 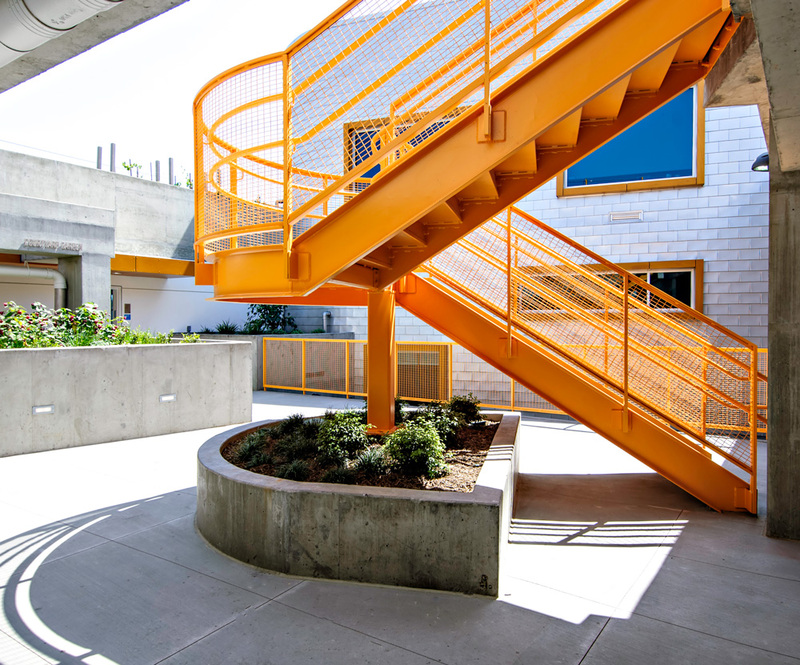 The design maximized the site with landscaped terraces, gardens, outdoor play areas and a sports center on the roof.